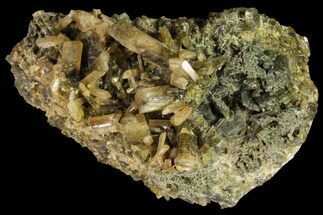 This is a beautiful specimen of gemmy, yellow-green adamite crystals collected from the Ojuela Mine in Durango, Mexico. 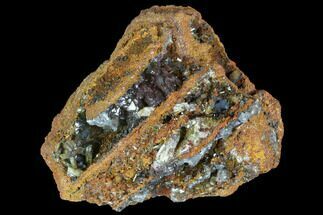 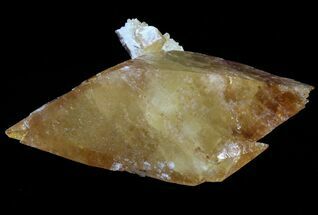 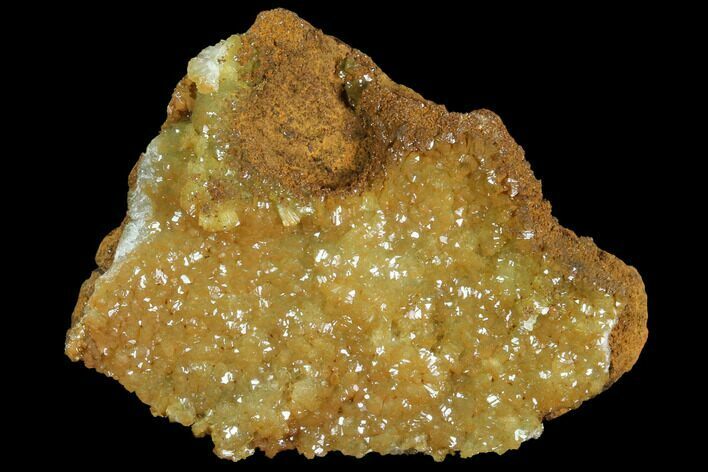 Small, fanning crystal formations can be found protruding from within the vibrantly layered, limonite matrix. 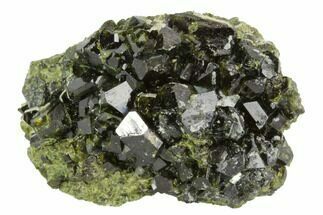 Adamite is a basic zinc arsenate with the base chemical formula of Zn2(AsO4)(OH). 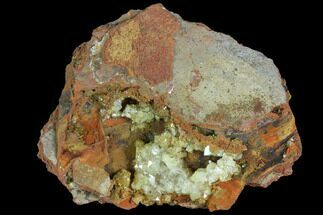 When impurities are present in the mineral, the color is altered, explaining the wide variety of colors that adamite displays. 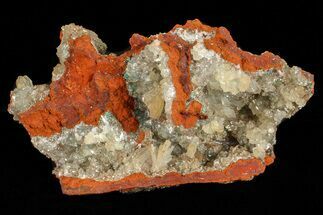 Copper and Cobalt are some of the known impurities that can give mineral specimens a green (Cu) to pink/red (Co) color. 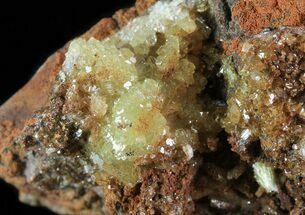 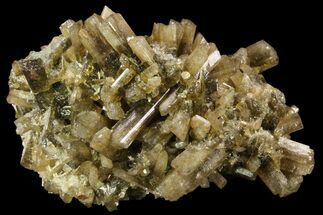 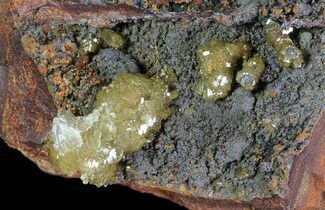 Adamite is typically found imbedded in a limonite matrix, formed as a secondary mineral in oxidation zones of hydrothermal replacement deposits.